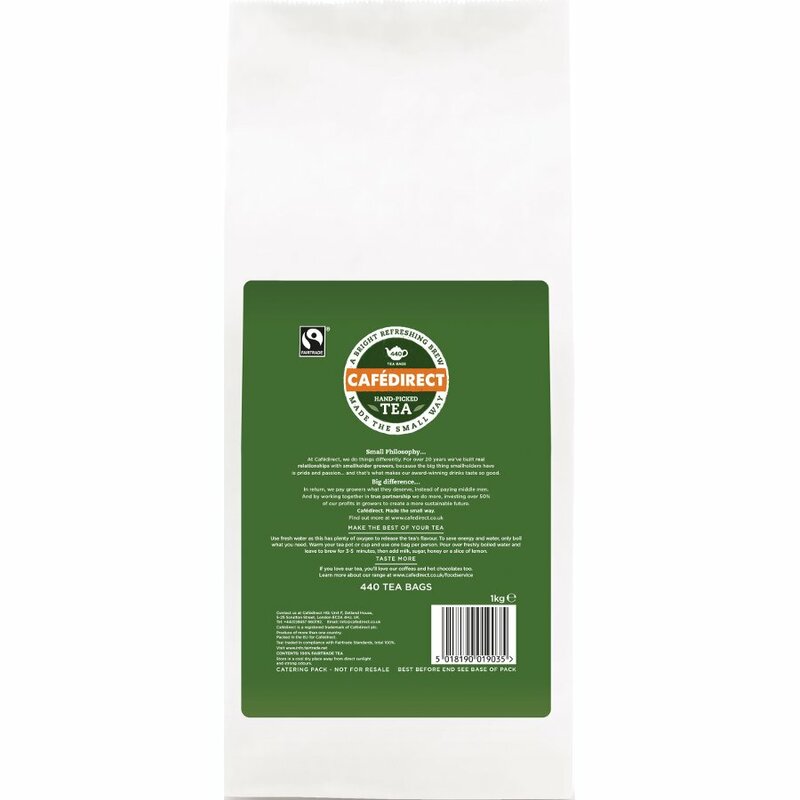 The Cafedirect Everyday Tea - 440 Bags product ethics are indicated below. To learn more about these product ethics and to see related products, follow the links below. This is bought for a small community cafe. It gives a better cup of tea than most of the locally available brands. There are currently no questions to display about Cafedirect Everyday Tea - 440 Bags.